Easton is a singer, songwriter and guitarist from Pleasant Grove, UT. He plays a broad spectrum of music; oldies, classic rock, blues, jazz, pop and country. 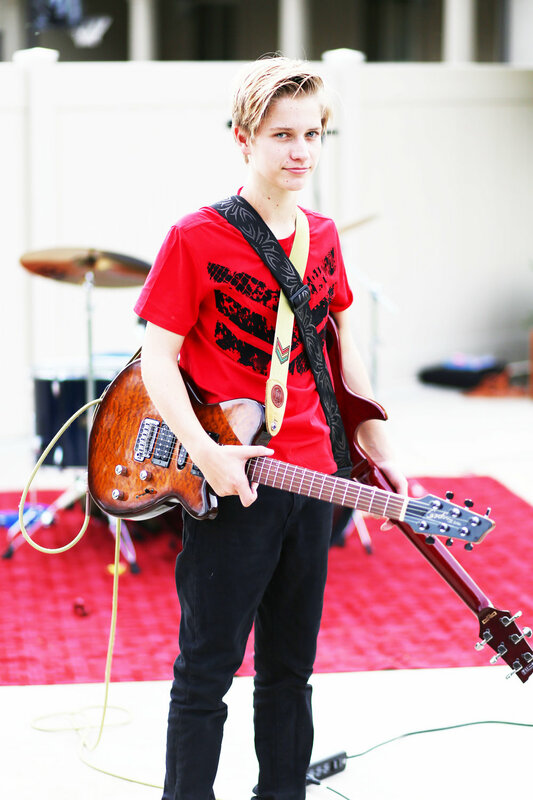 Easton picked up his first guitar and started playing at the age of 4, now at 13 he was named the 2016 Downbeat soloist award winner for the Blues/Pop/Rock Junior High Division nationwide for his guitar playing abilities. In August 2016, Easton signed with Heritage Guitars Inc. as an Endorsed Artist. In addition to his own band, he currently plays in the Advanced Jazz Band at his school, as well as with Caleb Chapman Soundhouse, under the direction of Caleb Chapman, President of Jazz Education Network, in the Little Big Band (Jazz), Jukebox Antihero (Rock), and Lonely Hearts Club (Beatles). Easton is also a member of the award winning, Best of State, One Voice Children's Choir (OVCC) under the direction of Masa Fukuda, and will tour to Normandy, France in 2017 as part of their D-Day celebrations. At thirteen, Easton has shared the stage and played with Branden Campbell (Neon Trees), Jerry Cortez (Tower of Power), Ndugu Chancler (Michael Jacksons original drummer from “Billy Jean”), Robbie Connoly (Fictionist), Rashawn Ross (Dave Mathews Band), as well as Chris Pierce, Wycliff Gordan, Victor Wooten and Jeff Coffin. He has toured with his band Jukebox Antihero and Little Big Band to Anaheim, CA and San Francisco, CA and was a performer at JEN 2015 in Louisville, KY. Easton has recorded songs for Janice Kapp Perry, Kamie Bolen and David Osmond. He has participated in music videos with the Soundhouse, Alex Boye’, Vocal Point and OVCC. Eve is an electric and upright bass player from American Fork, Utah. She first fell in love with the bass when she attended a Fat Cat Swingers concert with her dad in 2012. She began playing the upright bass in Junior High at age 11, and she studies with Matt Shumway. Eve has played with the Lyceum Symphonic Strings Orchestra, and she joined Caleb Chapman's Soundhouse in 2016, playing with the New Bop Big Band as well as singing with the Siren Sounds vocal group. She will tour with both groups to Anaheim, CA in the summer of 2017. Eve enjoys playing and singing all styles of music and learning different instruments, including the ukulele, guitar, and piano. 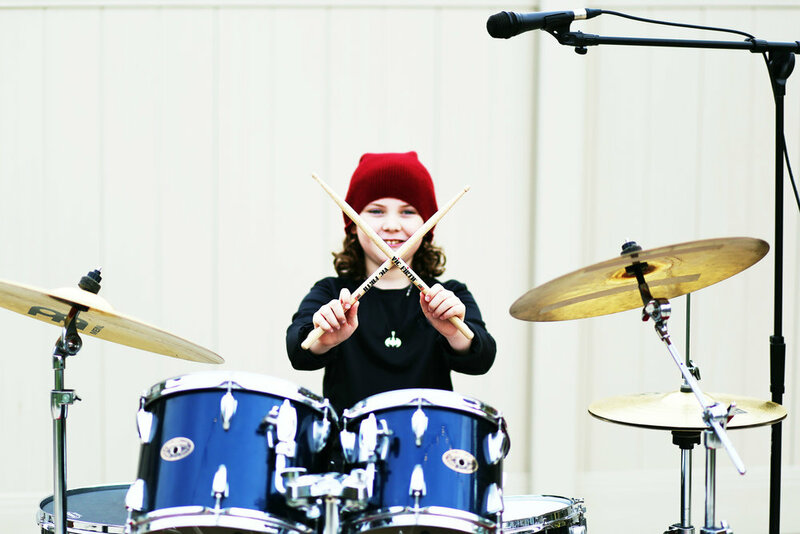 Milana has been hitting things to find rhythm ever since she can remember, starting formal drum lessons at the age of 4. Now at 11, she's been a Top 20 Finalist in the 'Hit Like A Girl' global drum contest for the past 4 years (2014-2017), and won the first-ever 'Rising Star' Award in 2017. She's also won Downbeat Magazine's Best Rock/Blues/Pop Ensemble (2017), and the Caleb Chapman Soundhouse Producer's Award (2016). She has jammed with Stewart Copeland (The Police) and performed on stage with Sheila E. during a live concert. She's also played with Branden Campbell (Neon Trees), Ndugu Chancler (Michael Jackson), Rashawn Ross (Dave Mathews Band), Robbie Connoly (Fictionist), and percussionist Daniel Glass, Tommy Igoe and Brazil's Dudu Fuentes. In addition to BEKM, Milana's been in bands since age 6. She is currently a musician in the multi award-winning Caleb Chapman Soundhouse under the direction of grammy nominee and Jazz Education Network President, Caleb Chapman - playing in bands: 'Jukebox Antihero' (rock), 'Mystery Tour' (Beatles), 'New Bop Big Band' and 'Lonely Hearts Club' (Beatles). She just finished touring San Francisco, and is looking forward to her upcoming L.A. tour. Milana keeps up her chops by drumming with the highly acclaimed Afro-Brazilian bateria (drumline) and dance company 'Samba Fogo', under musical director, Mason Aeschbacher. She's been featured in DRUM! Magazine, Tom Tom Magazine, Zildjian News, Daily Parent, Drum Channel, KUTV News and Fox 13 News.